Posted on 04/18/2015 by Todd	This entry was posted in Ballpoint, Multipen, Reviews. Bookmark the permalink. You”ve got me thinking about a new purchase! I use my Pilot Coleto Lumio black at work, and actually love the width and design. Plus, the refills are great for width and color choice. 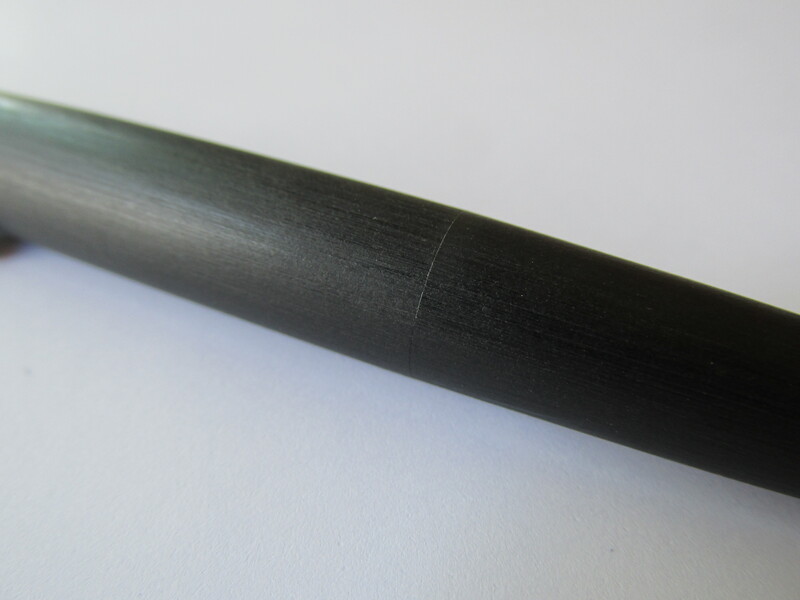 In the other hand, the Lumio’s plastic body is very light, and the aesthetics are only good, not great, like the Lamy’s. Do you know of a D-1 refill that is liquid or gel? Could you weigh the pen, by chance? 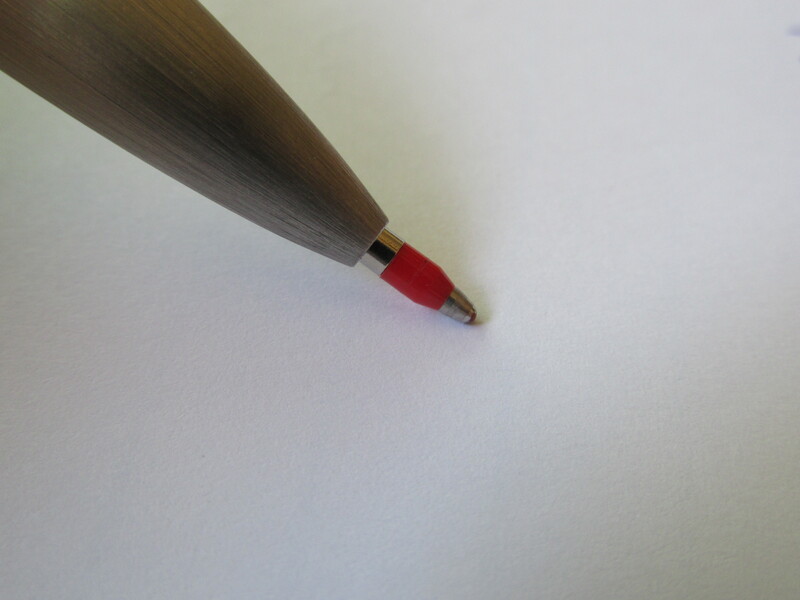 Michael – Here is the list of d1 refills available from JetPens. The number of options is substantial. I don’t have a balance here at home, but to my hand it is clearly lighter than the Lamy 4-Pen I have. I’d put the Lamy 2000 multi around 18 grams. Thanks for another really well written and very informative review of what is an excellent pen. I have one of these and rate it very highly. I use this and the Lamy 2000 mechanical pencil all of the time, when taking notes and writing drafts of documents. I rate the Lamy M21 refills as some of the best ballpoints on the market. It can also use the Pilot Hi-Tec C slim 0.4 refill, if you prefer. Another multi-pen that is also very good is the Platinum Double R3 action. 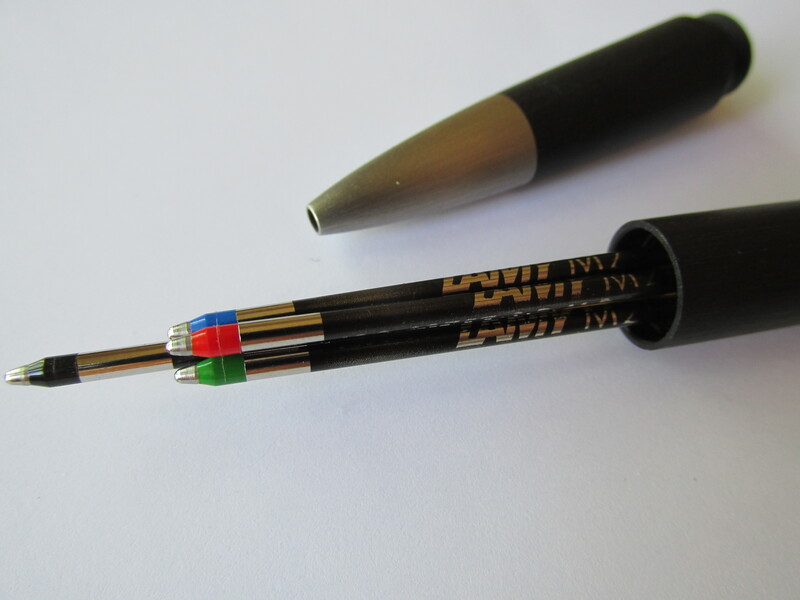 Whilst this only holds two D1 ballpoint/gel colours, it also has a 0.5mm mechanical pencil and eraser as well. It is a very cheap, and well made pen. As an aside, you can buy it in numerous colours, and if you look at some Japanese sellers’ sites, such as engeika.com, you will see that it also comes with some very interesting decorated barrels (which may not be to everyone’s taste, but are a serious attempt to do something innovative). I can’t make up my mind whether I prefer the Lamy or this pen but use both of them all of the time. What I really like about your reviews is that you test pens for the daily user and not the collector. Best wishes and keep up the great reviews. Thanks for stopping by Chandon. Glad to hear you find the reviews helpful. I’ll be sure to check out engeika. I lost one of these a few years ago and miss it sorely for most of the reasons in this review. I say most since at the time I didn’t know of alternative refills (was Jetpens around in 2008). It’s great even with the stock Lamy ballpoints. 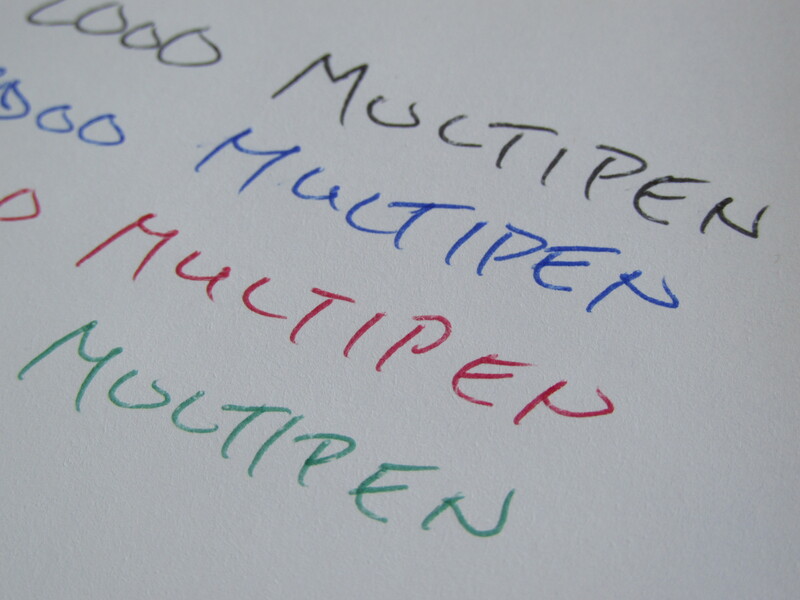 Far slicker and more subtle than other multipens. Thanks for the review. 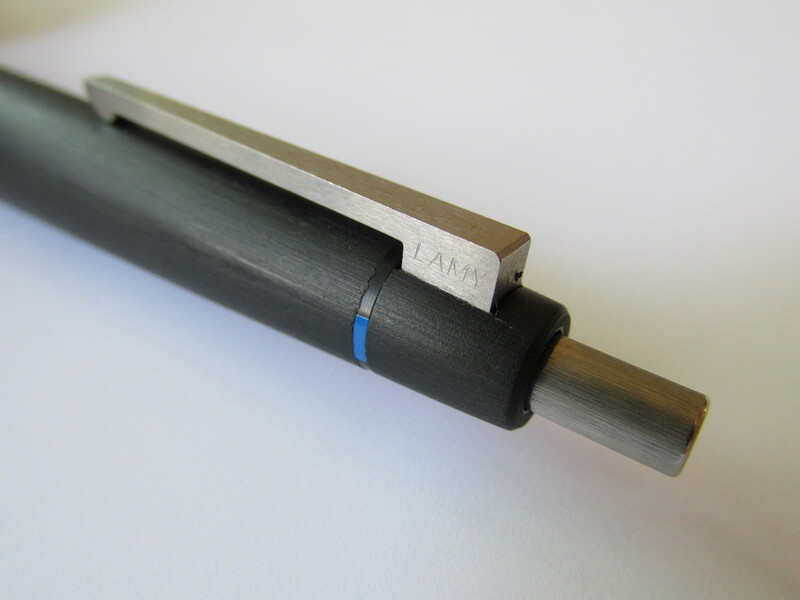 To your knowledge is it possible to use a mechanical pencil refill with this Lamy multi pen? The Lamy 2000 Multi cannot take a mechanical pencil refill, at least not without substantial hacking. The internals to support a mechanical pencil are different than those needed for simple D1 refill. 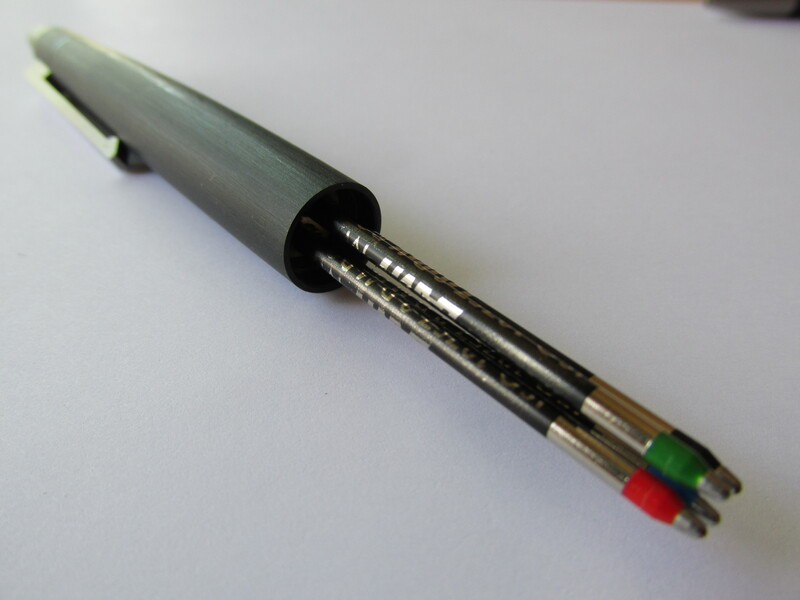 Multi-pens that support a mechanical pencil typically have a long metal rod in the position dedicated to the pencil refill while the spots for the D1 refills are little more than a hole. 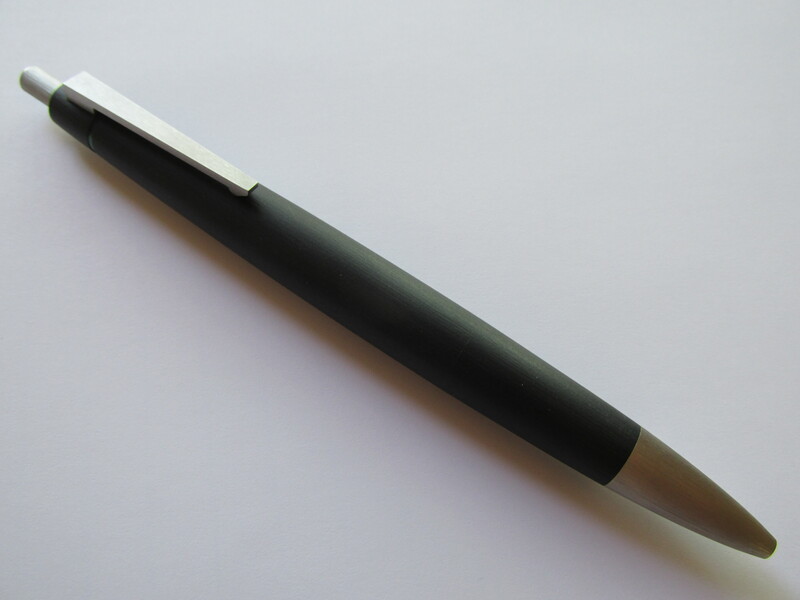 Lamy does make another multi-pen called the Accent that does incorporate a pencil. I have an Accent and it’s pretty good but I think I bought the wrong version for me. It comes in two flavors: (1) black body with a metal grip section or (2) a silver body with a black rubber grip. I bought the first style but I find the grip section gets uncomfortable after writing for a few minutes. I will likely get the version with the rubber grip some day in the hopes that I can get a pencil in a more comfortable Lamy multi-pen. A recent addition to the collection. Love it. Will post my own thoughts at some point but this review on thatonepen.com gives an excellent description. You can get just a grip for the Accent. They come in various color and textures, I have faux leather.